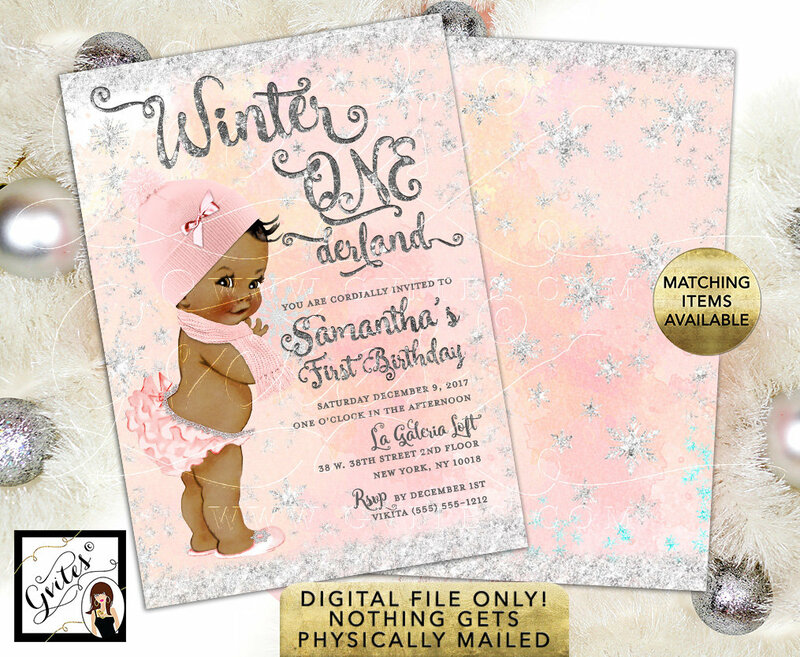 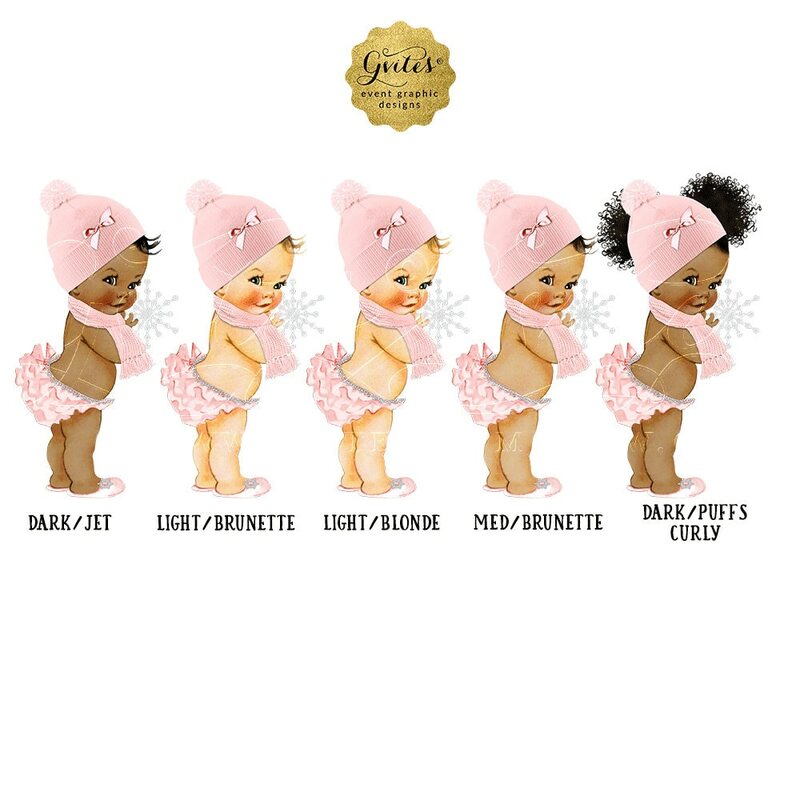 Blush Pink and Silver Winter ONEderland Invitations, African American Baby Girl Vintage. 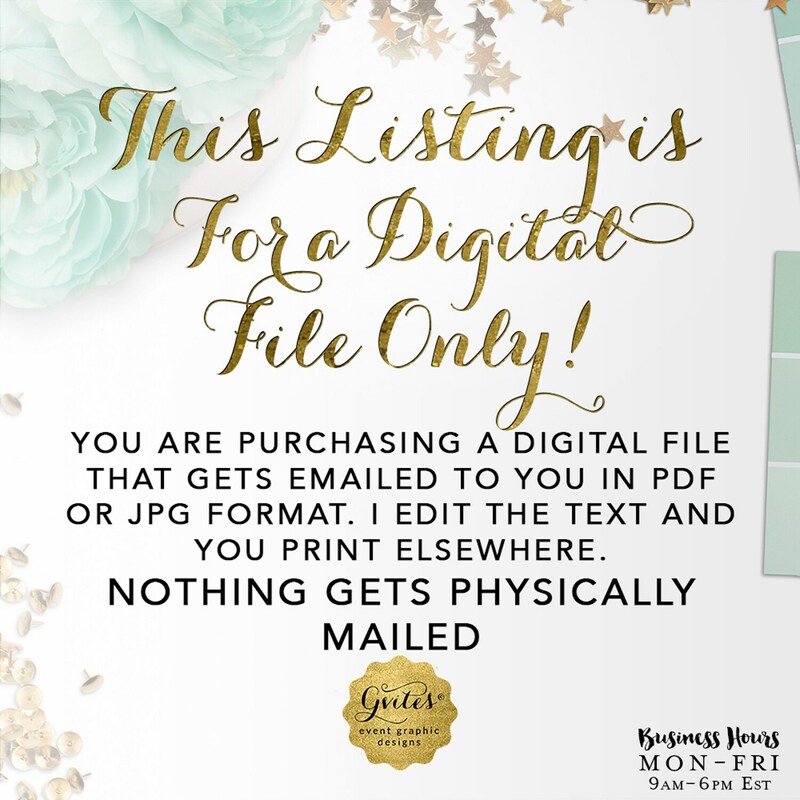 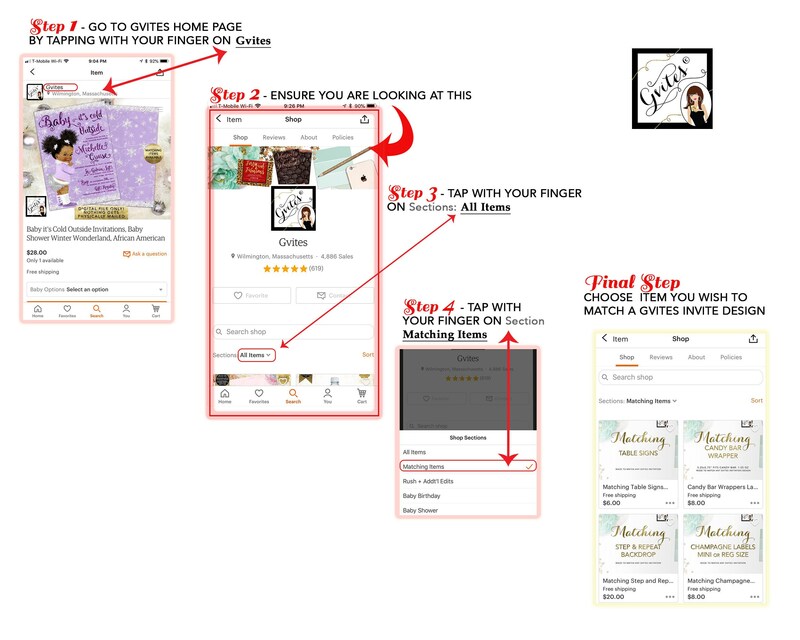 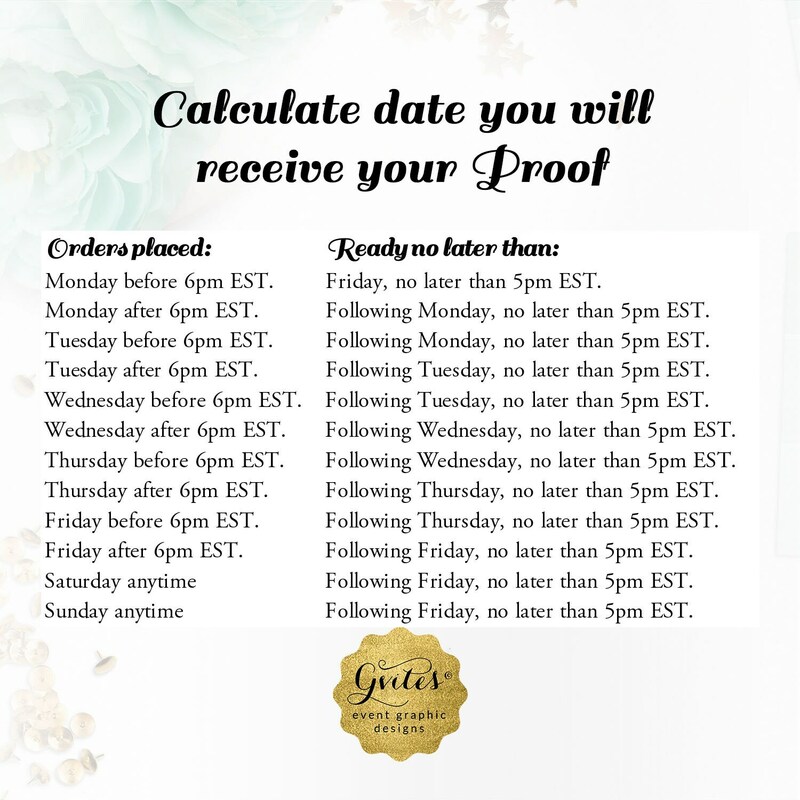 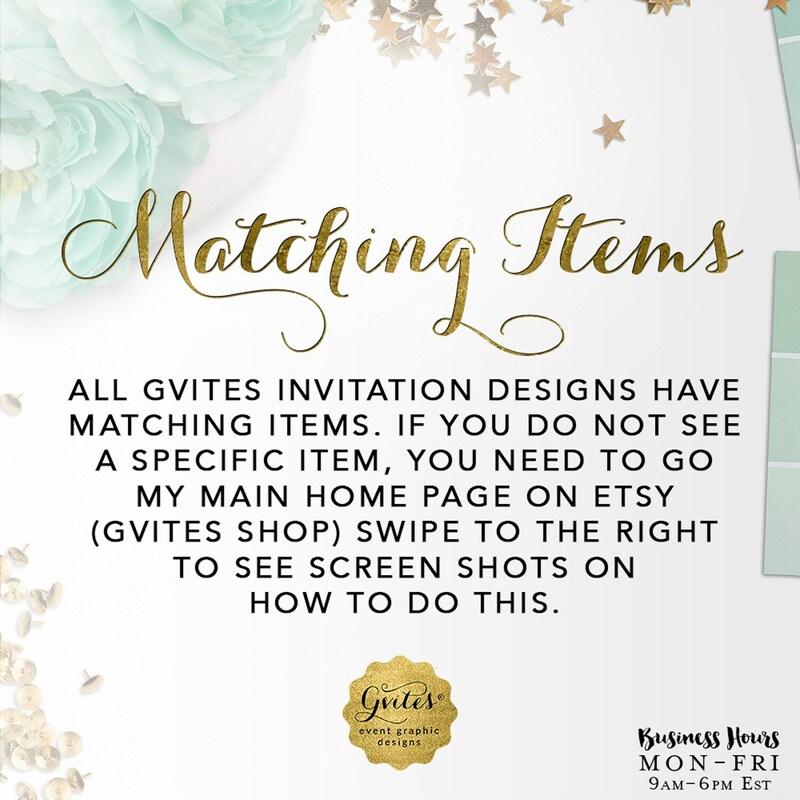 Digital File Only, 5x7 Double Sided. 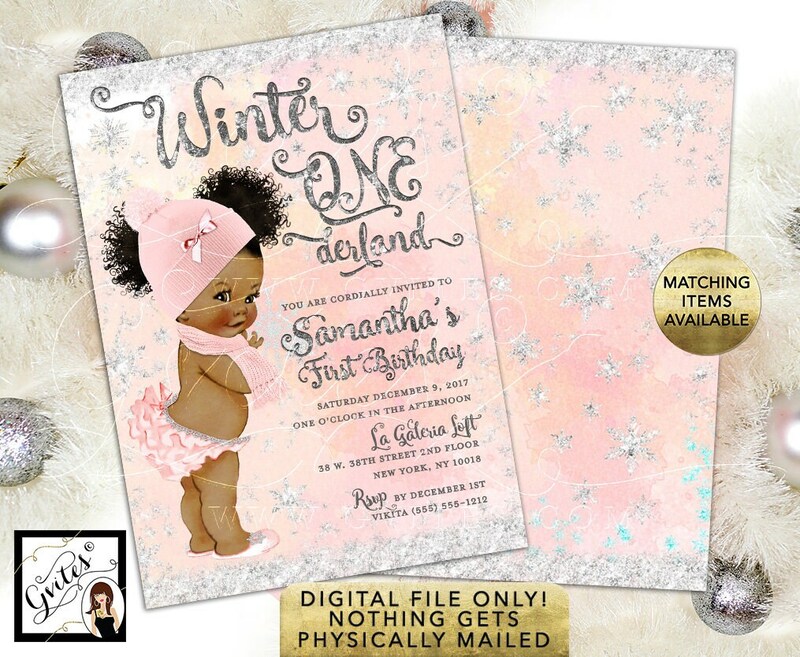 Blush Pink and Silver Winter ONEderland Invitations, African American Baby Girl Vintage. Digital File Only, 5x7" Double Sided. African American 1st Birthday Invitation - Blush Pink and Silver Watercolor Digital Background Silver Snow Flakes, 5x7" Double Sided.